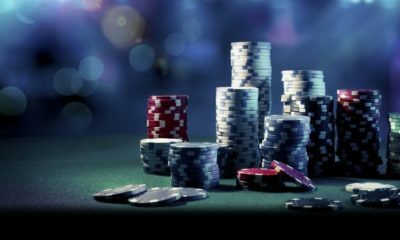 Let It Ride poker differs from most other casino games as you are not in direct competition with the dealer or your fellow poker players. The aim is to be in possession of winning combinations such as a three card royal flush or a three card straight flush, and this can occur for multiple players within the same game. For example, player A may have a three card straight flush at the end of the game, while players B and C may have a four card flush and a pair of tens respectively. 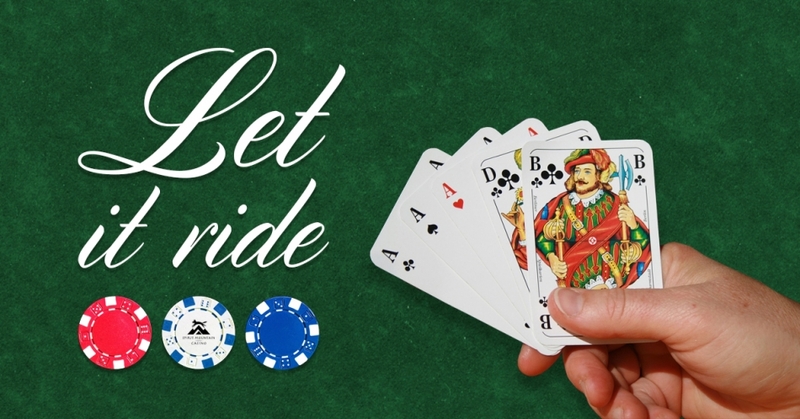 With Let It Ride poker, you have the option of taking back the money that you have bet while the cards are being dealt. The table has a lot of similarities with a Blackjack table. In front of each player are three circles. Before the game officially starts, you must place a bet in each of the three circles, and these bets must be equal to one another. 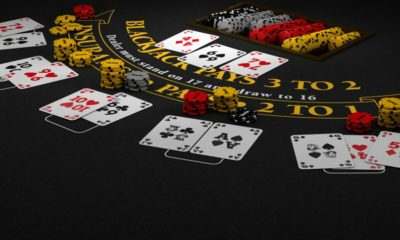 Each player is then dealt three cards, which must remain face down until the dealer has dealt himself two community cards, which must also remain face down. Once the cards are turned over, take the time to examine your cards. If your three cards indicate the start of a good hand, you can “let it ride” and opt not to change anything. If the cards are not to your liking, you can take back your first bet. Once each player has made their decision, the dealer will turn over the first of his two community cards. This card effectively becomes the fourth card in your hand. If this hand also looks promising, you can “let it ride” and wait for the fifth card. Alternatively, you can take back your second bet even if you have taken back your first bet too. The dealer will then turn over the one remaining community card, which will act as the fifth card in your hand. Even if you took back your first two bets, you have no choice but to “let it ride” on this occasion. If your completed hand contains a pair of tens or better, you can win even money. 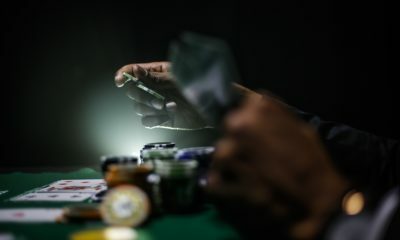 Other winning combinations include two pairs (with odds of two to one), three-of-a-kind (with odds of three to one), straight (with odds of five to one), a flush (with odds of eight to one), a full house (with odds of eleven to one), four-of-a-kind (with odds of fifty to one), a straight flush (with odds of two hundred to one), and a royal flush (with odds of a thousand to one). If you score a royal flush, you will have to share your payout with any other players who also achieve a royal flush. If you can play the optimum playing strategy at the right time, the house edge for the game will be around the 3.5 per cent mark. For the most part, you will end up taking back your first bet in around ninety per cent of situations, and taking back your second bet in around eighty-five per cent of situations. If your hand does not contain a pair of tens or better, it will usually be better to take back one or both of your first and second bets. 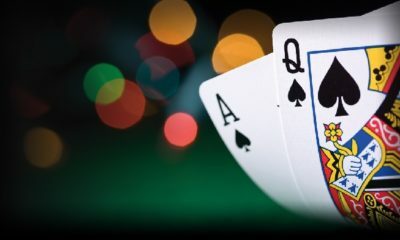 Having high cards in your hand (such as 10, Jack, Queen, King and Ace) will not necessarily guarantee a good result in the third bet unless you can spot the makings of a flush. Of course, it is still possible to score a three-of-a-kind or a four-of-a-kind off the back of a pair (that is less than a pair of tens) but this will not happen a lot. When to “Let It Ride” on a three-card hand: If your hand is made up from 1) a pair of “high” cards or a three-of-a-kind combination; 2) three consecutive cards from the same suit that are 3-4-5 or better; 3) three of a straight flush with one “skip” (one card missing from the run) along with one “high” card such as 8-9-J, or 4) three of a straight flush with two “skips” and at least two “high” cards such as 8-J-Q. When to “Let It Ride” on a four-card hand: If your hand is made up from 1) a pair of “high” cards or a three-of-a-kind combination; 2) four of any flush; 3) four of a straight with no “skips”, or 4) four “high” cards.